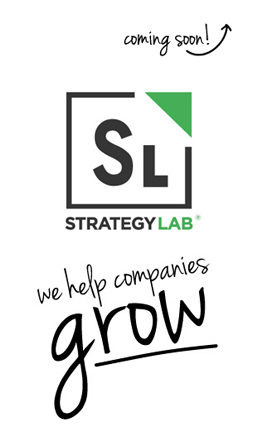 At StrategyLab®, we deliver growth for our clients while also creating the ability for them to grow. We build, but we also teach. There are many ways to grow. But if you want to lead, organic growth is required. Among Fortune 500 companies, those focused on organic growth outperform their peers in sales growth, EBIT, and total shareholder returns. It takes more than creativity. You need the right culture and conditions. For many companies, the infrastructure and skills required to drive future growth are fundamentally different than those required to protect and strengthen the existing business. Companies must learn new skills, adopt new practices, create new governing systems, and inspire new thinking in order to sustain or regain growth. “Our partnership with StrategyLab® has set a record as the highest-rated work in our history of PepsiCo University." “Our customers say these are the best new products this brand has brought to market in 20 years. We couldn't have gotten here without the assistance of Andrew and his colleagues at StrategyLab®." 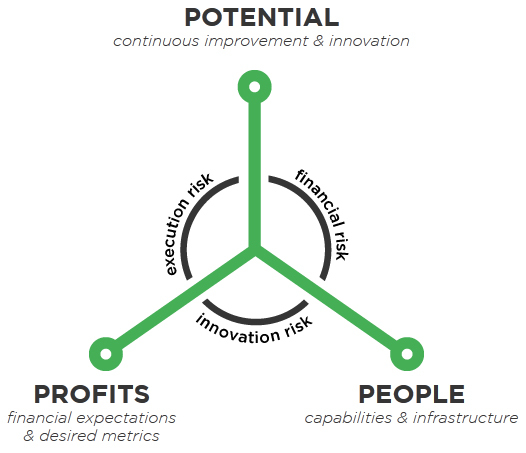 Our unique approach is designed to unlock value and mitigate risk. We do this by helping our clients align people and potential in the pursuit of profitable growth. 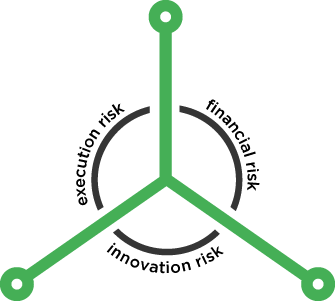 Everything we do at StrategyLab® is focused on growth. We work with boards and senior leadership teams to create long-term plans designed to drive organic and inorganic growth. Working with the board and senior management team of a multi-national packaging distributor, we helped design and develop its strategy to drive organic growth and align all key stakeholders in executing the strategy – including the board, the senior leadership team, regional teams, suppliers, and customers. We partner with our clients to build the skills, infrastructure, processes, and incentive systems required to embed innovation as a core capability across the enterprise. We partnered with a large multi-line insurance carrier to identify, design, and install processes and methods to foster innovation. This work included organization design, governance systems, roles and responsibilities, training programs and advising on innovation management systems and incentives. We advise and coach internal corporate new venture teams on incubating, building, and managing businesses within businesses. We were retained to advise multiple internal new venture teams of a major media company in identifying, developing, and launching new service offerings leveraging its assets and core capabilities in journalism, distribution, and marketing. These projects have led to millions of dollars in incremental revenue for the client. Innovation is about more than processes and products. It is a matter of culture. We work with senior teams and their learning professionals to train and develop leaders in innovation principles, behaviors, and practices. We have been retained by the senior leadership team of a global consumer products company to help create a culture of innovation to unlock hidden value in its decades-old legacy businesses, while creating new strategies to accelerate growth. We work with clients to help reinvigorate their legacy brands and – when necessary – create new ones to drive growth into new markets, newchannels, or among new customers. Our principals have created new brands that have become household names and renewed existing brands in industries as diverse as beverage, consumer retail, and financial services. These brands have created billions of dollars in new wealth for shareholders. We have a track record of launching successful new products that have created significant wealth for the companies that have implemented them. We have worked with clients to incubate, develop, and launch new products that have created significant value for shareholders in industries as diverse as computer hardware, software, retail, consumer packaged goods, and technology. Many of these products are beloved by customers around the globe; some of which have become utilities in the fabric of our culture. Founded by Kellogg School of Management professor Andrew Razeghi, our experienced team at StrategyLab® has helped create significant wealth for the companies we’ve led and the clients we serve. We are former C-level executives, leading entrepreneurs, consultants, and academics who know how to build, grow, and manage companies. Website by: The Marketing Group.